In 1665, Huygens discovered that two pendula suspended side-by-side eventually synchronize. Today it is known that synchronization is a common feature of interacting oscillatory systems. 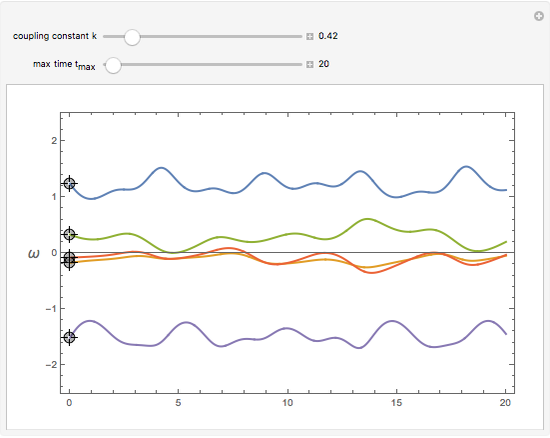 This Demonstration visualizes the synchronization of coupled phase oscillators. 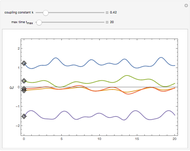 The plot shows the time variation of the oscillator frequencies. 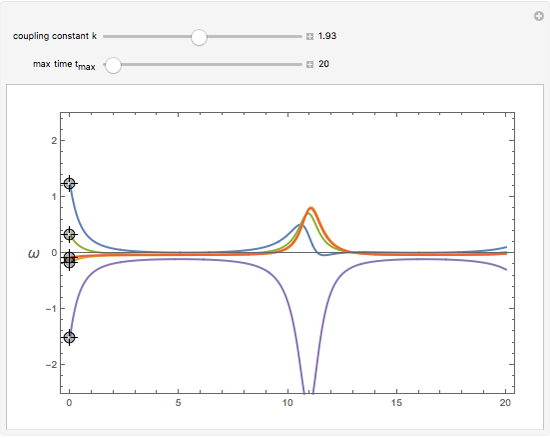 When the coupling constant is 0, there is no interaction between the oscillators, so each oscillator has a different frequency. 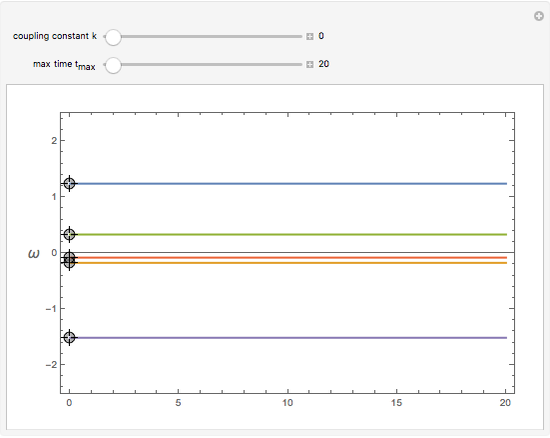 As the coupling constant increases, you can observe synchronization. 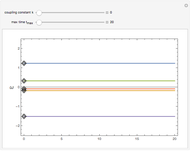 It turns out that the synchronization frequency is the average of the initial frequencies. 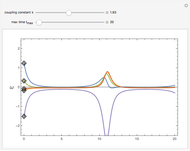 where is the number of oscillators, is the coupling constant, and is the phase of the oscillator. Baris Altunkaynak "Synchronization of Coupled Phase Oscillators"